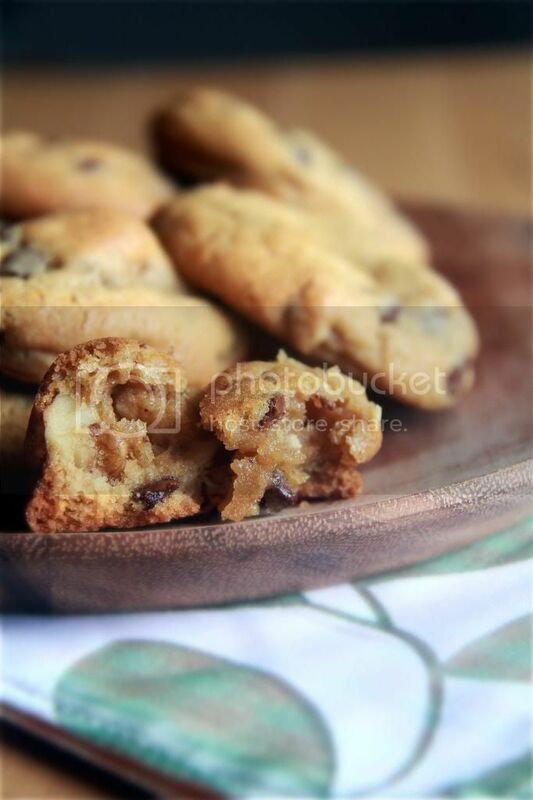 Crumbs and Cookies: chewy chocolate chip and walnut cookies. 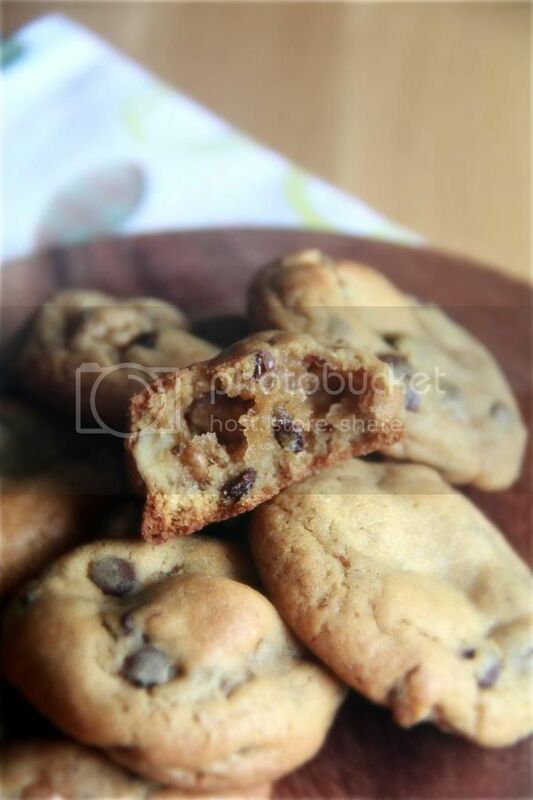 Honestly, I have tried so many chocolate chip cookie recipes and while I can more or less discern which are the better ones and which are the meh ones, it is really hard to pick the winning recipe, the best of the best. Hence I don't think I'll ever label any particular recipe as my favorite. But I do have a preference for recipes calling for browned butter, because it gives the cookies a toasty nutty undertone. 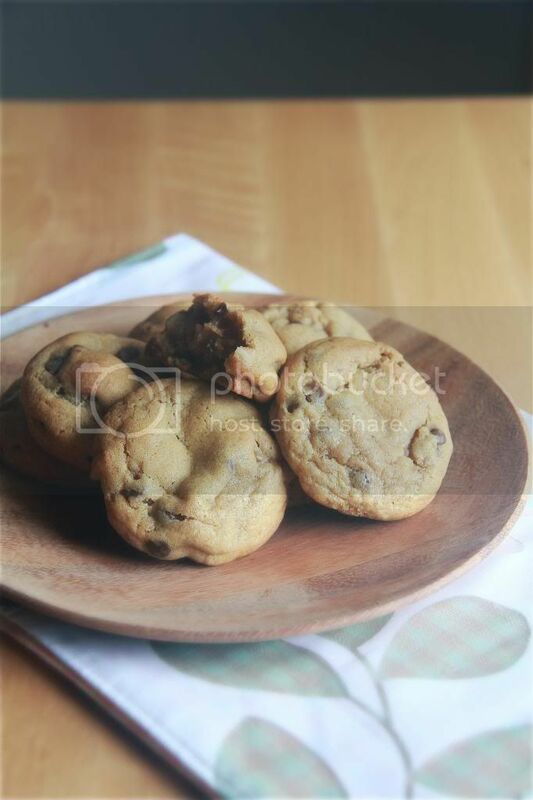 I also like recipes that produce cookies that are flatter and spread out more. I'm just not that enamoured with the super puffy cookie. Sure they are nice to bite into because they're thick and substantial, but I like my cookies to have more crunchy surface area. I won't call this the ultimate chocolate chip cookie recipe, but it's definitely counts as one of the top few I've ever tried. Whisk the flour, baking soda, cornstarch and salt together. Whisk the melted butter, brown sugar and sugar until combined. Whisk in the egg and egg yolk until combined. Stir in the vanilla. Stir in the flour mixture. Chill the dough for at least 2 hours. Preheat oven to 325F. Prepare baking sheets. Roll portions of dough into balls and place on prepared baking sheets. Bake for 10 to 11 minutes. 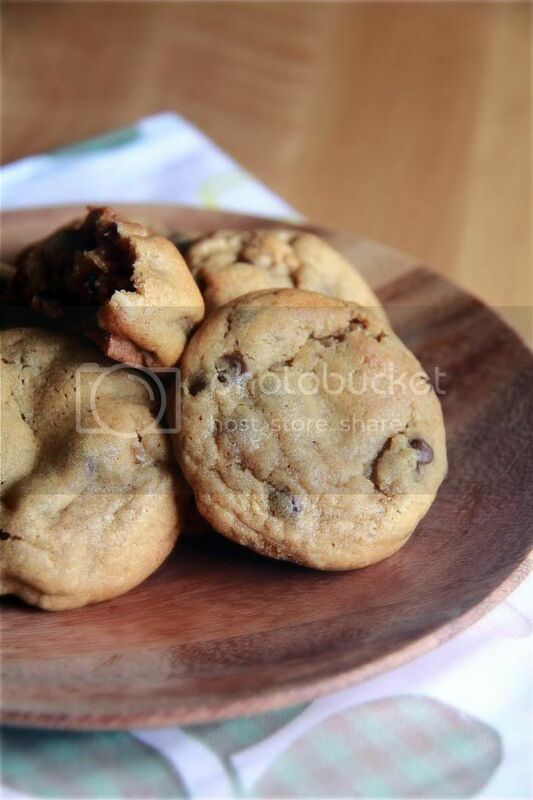 Let the cookies cool on baking sheets for 10 minutes before transferring to a wire rack to cool completely.